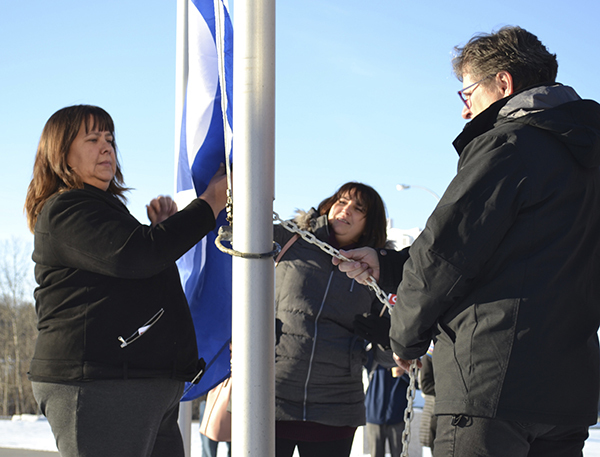 Saskatchewan Polytechnic continued the tradition of a Métis flag raising on Friday for Louis Riel Day. Riel was a political leader of Métis people in the 1800s—he led both the Red River and North West Resistance in Canada’s prairies. The second resistance ended in his hanging for treason on Nov. 16, 1885, which now marks a day of celebration for Métis rights. Sask. Poly student advisor for the Indigenous strategy, Shelley Belhumeur, said Riel’s death holds a huge significance. In 2003, the Supreme Court of Canada, in the Daniels decision, ruled Métis people as having full-fledged Indigenous rights. Sask. Poly’s four campuses, also in Saskatoon, Moose Jaw and Regina, raised their flags simultaneously around 10 a.m. 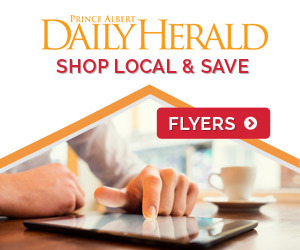 Prince Albert’s campus raised the most well-known Métis flag, which is blue with a white infinity symbol. 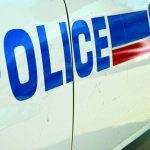 “(The infinity sign) means that our culture is gonna last forever, but the infinity comes with two circles and those two circles are our European heritage and our First Nations heritage and they’re coming together,” said Belhumeur. The colour blue represents the North West Company, which aimed to put an end to the Hudson Bay Company’s (HBC) monopoly in the fur trade. Students who joined the celebration got small paper flags of their own. Some had red flags in place of blue to represent the HBC. On Thursday, the institution provided soup and bannock and fiddler Donny Parenteau came to play. He helped write the lyrics of the Métis national anthem. Kim Kuzak played guitar and sang the anthem before the flag raising. After, students played Métis trivia in the library. 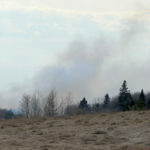 Belhumeur said Prince Albert’s students are 45 to 51 per cent Indigenous. 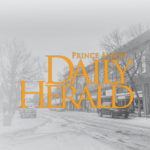 “Our Indigenous population here, because it’s so high, we have different needs I guess here as opposed to what Moose Jaw would have at two per cent,” she said. “Without education, that’s where racism comes,” said Belhumeur about the importance of the Indigenous strategy. 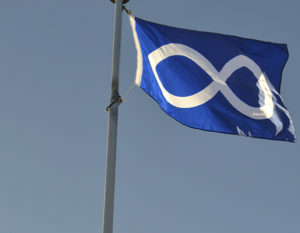 Although the blue and white flag is the most well known, she said each province has a unique Métis flag. Next articleAll-female country band pulls the reins in P.A.